VILLAS ATTIS are located in a complex of modern villas at a hill overviewing the entrance to Sivota Bay in Lefkada. These stunning upscale villas were designed with a myriad of benefits in mind: luxury, privacy, comfort and a spacious environment. Ideal for sea lovers and for those who want a peaceful break for their vacation. There are breath-taking views of Sun rising and setting over the Ionian Sea and surrounding islands. 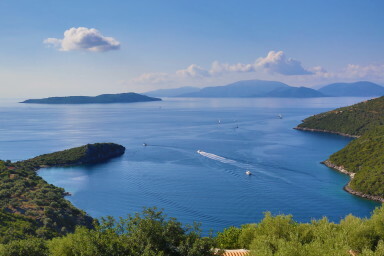 The villas are located in Sivota Bay in the South-East part of Lefkada island in a spectacular scenery. Vast expanses of olive groves and flowers in the villas' garden leave one in awe of such beauty. The villas offer spectacular views of the azure waters of the Ionian Sea and the islands, including Kefalonia, Ithaca (believed to be the birthplace of Homer’s Odysseus) and Meganissi. A colorful variety of Greek taverns and shops can be found in the village of Sivota, only 1.5 km from the complex. VILLAS ATTIS are composed out of two villas - Villa Andromeda and Villa Pegasus - just next to each other with own entrance. They can welcome 16 people very comfortably and potentially a few extra people on extra beds. Each villa is fully air conditioned and has its own infinity pool. Private parking is available in front of each villa with capacity for 4 cars or 2 vehicles with a boat cart. The road to reach VILLAS ATTIS is partly unsealed for about 1,5 km. It is accessible by standard cars; although a 4x4 will make it more comfortable. Feel free to contact us if you wish to reserve a rental car for your stay. A large private 2,30m deep infinity pool (9×6.5m) with spillway, an outside shower with an extraordinary view of the sea will make you feel like at holiday. Comfortable sun-beds and umbrellas for relaxing by the pool are available. Outdoor pergola to relax in the shade is provided for those lazy sunny days. At the main entrance of the villa, on the ground floor, there is a spacious open plan living room with high ceiling and a large dining area, a living room area with a plasma LCD TV with satellite channels, music and a DVD player. There is also a kitchen and a bathroom. Finally, there is a large terrace with an astonishing view of the Ionian Sea which will make your breakfast, lunch and dinner that much more special. To choose VILLAS ATTIS for your vacation is a life time experience. 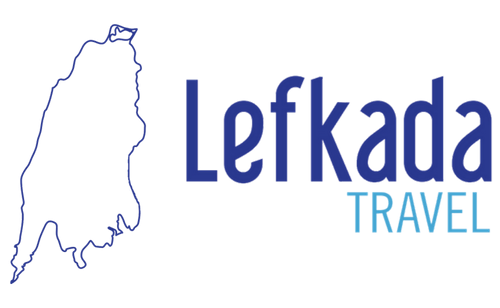 Our selected portfolio of partners is ready to provide quality services such as babysitting, chef at home, massages, yoga, boat rentals (sailing or speedboat), car rentals, mountain biking, sea-kayaking, scuba diving or hiking in Lefkada hills. Jerome and his team are available for you during your stay to make sure that you have an answer to all your requests about the Island or your activities for days and nights. The most important for us is to make sure your vacation remains one of the most amazing experiences you have had so far!